1.Fill cocktail shaker with ice; add tomato juice, tequila, lime juice, hot sauce, pepper and celery salt, and shake well to combine. If desired, place layer of celery salt in wide, shallow dish; wet rim of glass with water and dip wet rim into celery salt. 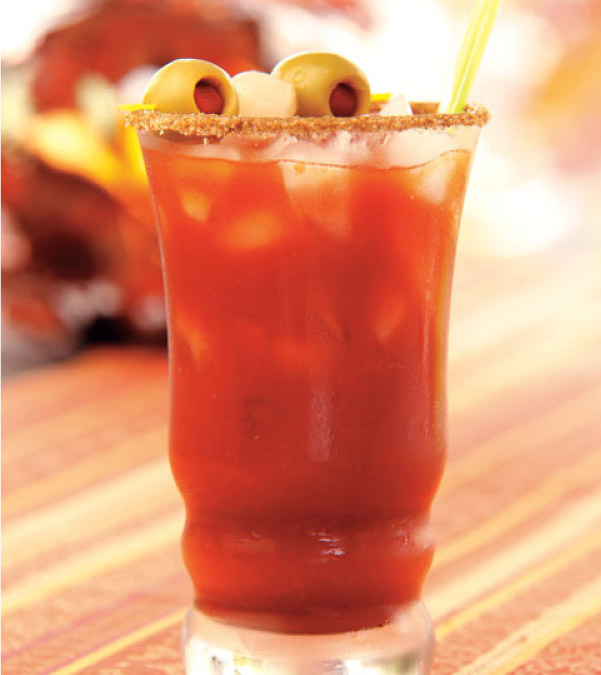 Fill glass with additional ice and strain tomato juice mixture into glass. Garnish with olives and onions, if desired.